This webinar showcased eportfolios research being undertaken both in Australian and overseas. Highlight Tour: Global Tales of ePortfolio research and practice in Australia and internationally Through the global network of AAEEBL we have the opportunity to work closely through our practice and research in global ePortfolio communities and local research projects. This webinar will highlight research across the globe through our connections and interconnections in portfolio pedagogies, practices and evidence of learning across spaces that we see as the big ideas in the community right now. We will highlight a number of global projects and open to discuss how to build collaborative opportunities through the AAEEBL and ePortfolios Australia partnership. Researching ePortfolios in Higher Education: The Process, Pitfalls and Epiphanies Our presentation will look at the practice of using ePortfolios in Higher Education, as well as how we have conducted research in this space at an Institutional and National level. with research interests in post stroke rehabilitation, driver rehabilitation, public health and occupational therapy education. He is the program director of occupational therapy at the University of Canberra. Prior to developing the occupational therapy program in 2011, he held senior clinical positions in ACT Health primarily in aged care and adult neurological rehabilitation. Stephen and his teaching team have used e-portfolios as a valuable tool to document a student’s developing competency throughout their course and particularly during practice education. Part of the presentation today will be letting you know how he has developed this process so you might be able to use this in your own area. effective education leadership and high quality, optimistic learning environments around the globe. She is a learning and teaching academic with research interests in supporting globally aware, rigorous academic scholarship so that students have rich, more engaging and authentic educational experiences. I began working with ePortfolios with my teacher education students whilst at the University of Canberra where colleagues and I discovered the role of portfolios in forming our own professional identities as scholars. Part of today’s presentation will be a discussion of this research, as well as a national project Steve and I are running across seven Australian universities. This webinar showcased how eportfolios can be used to support Work Integrated Learning (WIL). three WIL subjects in their final year of study – BU3101 – Professional Internship, BU3102 – a Multi-Disciplinary group project addressing an identified issue or problem for an industry partner, or BU3103 – an Independent work-based project for students already employed. In preparation for these subjects, students are introduced to WIL and Pebblepad in first year through a skills road map workbook which helps them to connect a range of assessment items across their degree to relevant WIL skills. This workbook facilitates and encourages them to upload as evidence assignments which demonstrate the relevant skills so that they have an ‘asset store’ of evidence which can be used to create their CV ePortfolio for assessment in their chosen WIL subject. A range of subjects in the degree also utilize a variety of tools in Pebblepad for assessment (eg. Reflection templates, meeting agenda and minutes templates, or tailored workbooks) which ensures that at least some evidence of WIL-related skills has been collected by 3rd year. Each of the three WIL subjects then requires requires students to prepare and submit a CV ePortfolio for assessment. In the professional internship subject the CV ePortfolio is designed to provide evidence of skills relevant to selection criteria identified in a chosen advertisement for a real job. In the independent and multi-disciplinary project subjects students act as consultants and are required to create an ePortfolio which identifies, explains and evidences skills relevant to completion of the proposed industry project. The embedded approach to incorporating WIL and Pebblepad into the degree helps to better prepare students for their WIL experience, allows them to develop and present an ePortfolio as an applied and authentic assessment item, and to enhance students’ ability to demonstrate and evidence skills to future employers by encouraging students to activate their graduate Pebblepad account so that their ePortfolio assets can be used when seeking employment and updated throughout their career. Associate Professor Laurie Murphy is the Work Integrated Learning Coordinator for the Bachelor of Business degree at James Cook University. In addition to a strong focus on authentic and work integrated assessment in the tourism and events subjects in which she teaches, Laurie also co-ordinates the three WIL capstone subjects in the degree and has worked with the WIL team to introduce a voluntary Professional Development Certificate program which encourages students to engage in a range of extra-curricular activities to enhance their employability. higher education graduation outcome goals. In our presentation, we will present a process for supporting career thinking and development using ePortfolio pedagogy, highlighting four key areas: stakeholders, work integrated learning (WIL), branding, and professionalism. We will particularly discuss the WIL component, provide an example of how ePortfolios has been used in WIL to build graduate capabilities and employability skills, and recommend key resources for passionate practitioners. Career and Career Development’, in Batson, T., Coleman, K. S., Chen, H. L., Watson, C. E., Rhodes, T. L., & Harver, A. (eds), Field Guide to ePortfolio. Washington, DC: Association of American Colleges and Universities, pp. 60-70. 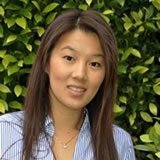 Dr Leanne Ngo: Leanne is the Deputy Course Director of Bachelor of Commerce and academic lead of the Learning Innovations Group in the Faculty of Business and Law, Deakin University, Australia. Dr Leanne Ngo has over 15 years of research, teaching and academic development and support experience in the application of technology and educational design in the practice of teaching and learning and curriculum development in higher education. Leanne was part of the leading university team of a recently completed national OLT funded project ‘Realising the potential – Assessing professional learning through the integration of ePortfolios in Australian business education’ (More information on project outcomes and useful resources: http://www.buseport.com.au). Her key research areas and work include evidencing student learning and professional capabilities using ePortfolios, designing learning experiences and spaces to maximise learning outcomes, and technology-enhanced curriculum innovations. Kristina Hoeppner: Kristina is the project lead and community facilitator of the open source Mahara ePortfolio project working for Catalyst IT in Wellington, New Zealand. She has been using Mahara since 2008 when version 1.1 was all the rage and started working with the core development team in New Zealand in mid-2010. In her role, Kristina supports institutions around the world with their ePortfolio implementations and shapes the future of Mahara. Associate Professor Patsie Polly is a Scientia Education Fellow who is an Education Focussed Academic in the Department of Pathology within the School of Medical Sciences (SoMS), Faculty of Medicine, UNSW. Patsie is recognised nationally as a medical scientist, leading teacher and innovative education researcher. As a UNSW Teaching Fellow (2016-2017), Patsie has infused her extensive medical research experience into the classroom by applying the latest laboratory research practice. Patsie strategically integrates adaptive lessons, ePortfolio pedagogy and collaborative communities of practice to allow her students to learn these career-relevant skills. Her unique method blends virtual and real laboratory experiences to break new ground in engaging her students as researchers. Patsie has led reflective ePortfolio implementation to develop deep learning of teamwork and communication competencies in students, contextualising acquiring these skills for their future as medical researchers and health professionals. Patsie has been recognised with multiple institutional/national teaching awards, funding and invited institutional/national/international presentations and peer-reviewed research outputs in research communication, virtual laboratory lessons and ePortfolio use. John Mc Inerney and Ruth Druva, Monash University At Monash University we have adopted an ePortfolio technology into our curriculum in an effort to better prepare Radiography students for job selection and the increasing demands of professional practice.One key goal for the development of the ePortfolio was to avoid a structure that was too rigid as this this can lead to reductionist approaches to learning (Grennan, Crowley, Quidwai, Barrett, & Kooblall, 2016). Instead we wanted students to see themselves as curators of this repository with an intellectual pursuit and an inspiration to be creative. Students sometimes don’t appreciate the value of an ePortfolio. In May 2017 year a showcase seminar called “Why should I be registered” was held. In this presentation, we will briefly outline the support pathway we undertook to support student’s development of ePortfolios along with a selection of examples of student submissions. Further to this we will outline what the seminar involved, sharing the outcomes of the format and the lessons learned from this. We will promulgate our future aspirations for ePortfolios in Radiography. John Mc Inerney is a lecturer and early career researcher at Monash University. He is interested in student’s perceptions of teaching and learning. While sometimes discredited as a measure of effectiveness of a teaching activity he maintains that student acceptance of an activity increases students engagement in that activity which will lead to better outcomes. He is keenly interested in ePortfolios and their ability to scaffold the transition from a student practitioner to a graduate registered professional. While he does believe that ePortfolios can foster creativity, independence, individuality and an intellectual pursuit which sets them apart from traditional assessment models he is not blind to the challenge of convincing others of this. Ruth Druva is a long standing educator across the academic and clinical field. She originally graduated in diagnostic radiography however over the years due to an education focus has undertaken additional qualifications to strengthen this interest. She now spends the majority of her time contributing to the clinical studies area across different year levels for the Bachelor of Radiography and Medical Imaging curriculum at Monash University. More recently this has extended into the Bachelor of Radiation Sciences. 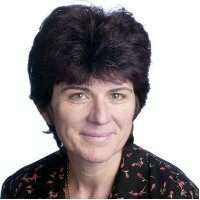 Her research areas of focus are on topics of clinical relevance such as assessment including OSCEs, different technology use in simulation and facilitating eportfolios beyond the clinical arena. Ruth maintains her own clinical practice as a team member within a hospital network. This enables ongoing insight where improvements to bridge the tension between the clinical and academic divide are possible. Sam Harris, University of Queensland – Leading with pedagogy The ePortfolio engagement process at the University of Queensland is led by the simple but critical precept of viewing ePortfolio integration firstly from a teaching and learning perspective. Leading with pedagogy will explore the implications of commencing the engagement process with pedagogy to the fore, and the impact that this has on ePortfolio use and uptake across the University. Several program-level ePortfolio case studies will be unpacked to show the process of leading pedagogical change in action, including the modification of existing learning tasks, the adoption of new assessment modalities, and the potential for improved tracking of student progress and achievement. Sam Harris is the Learning Designer at the University of Queensland working exclusively in ePortfolio deployment and support. He has assisted numerous schools and programs across the university to harness ePortfolios for learning and assessment, guiding processes of outcome/assessment mapping, rubric creation, and assessment instrument redesign, as well as establishing effective workflows for ePortfolio deployment. Sam has a Master of Education (Information & Communication Technologies) and many years of previous experience in secondary education, education management and educator training. This webinar showcased how eportfolios can be used to evidence outcomes such as professional standards. Linking design end curriculum management and eportfolios to respond to increased regulation in professional degrees. Following criticism of graduate workplace capabilities, teacher education providers face stricter regulation requirements. This presentation introduces a pedagogical model that links design end curriculum planning and essential ePortfolio management functions to generate comprehensive standard aligned evidence required for graduate professional certification and program accreditation. John Kertesz is the Lecturer in Applied Learning at the University of Tasmania, coming to academia after a career in the Australian Army and twenty years teaching experience from primary through to tertiary levels. He has a long-standing interest in the evaluation of teaching practice and the application of the National Professional Standards for Teachers to improve classroom pedagogy and professional learning. In addition to being an enthusiastic advocate of ePortfolios to evidence professional capabilities, John has a particular interest in establishing effective pedagogical frameworks for successful ePortfolio integration. Portfolios are an ideal medium to facilitate the collection of evidence of learning by students. Increasingly institutions are required to achieve accreditation of courses by reporting evidence of student learning to professional bodies. In this presentation, we will outline the methods by which La Trobe University, School of Education have shifted their teaching courses and assessment for AITSL in light of new requirements to include evidence-based practice. We will discuss the strategies and design methodologies we undertook as well as the real world challenges and issues we faced, and make links to lessons learned and how they could be applied to other fields.Terry Young is currently a Senior Education Designer working at La Trobe Learning & Teaching. He has worked over the last 5 years with the Education and Health Science Disciplines promoting the use of Portfolios in curriculum and clinical assessment.Kate Mitchell is currently a Senior Educational Designer at La Trobe University but has a number of years experiences both in blended and online learning and in teaching practice as a Secondary and Vocational educator. Her recent Masters by Research explored enablers and barriers to implementing e-Learning experienced by vocational/TAFE practitioners. This webinar discussed how our presenters support their educators to use eportfolios. Andrew is an eLearning Advisor with the Learning and Teaching Centre (LTC) at the Australian Catholic University (ACU). In this role he supports and develops capability in the use of Technology Enhanced Learning (TEL) tools across all faculties at ACU. He does this through the administration and configuration of enterprise systems, including policy recommendations. He works with small groups providing targeted workshops, as well as delivering professional development programmes across the Brisbane campus. He also provides a wide spectrum of advice from individual consultation to working as part of curriculum design teams. Marie is an academic, writer, teacher and Byzantine historian holding diverse undergraduate and postgraduate academic qualifications in the following: BA/BSc (ANU), GDipEd (UC), GDipHum (UNE), GCHE (ACU), MA (UNE). She is employed in a senior leadership academic role by the Australian Catholic University in the Learning and Teaching Centre, Academic Development, Canberra campus. Prior to working in the Learning and Teaching centre she was a full time Faculty of Education lecturer in ICT, Education and Commerce and occupied leadership roles as a Course Co-ordinator for Master of Teaching Primary and A/g Course Co-ordinator Graduate Diploma in Secondary. In addition, in her previous work life she worked on financial systems design, development and implementation in industry and for both Federal and the ACT government. Lynn is the ePortfolio Program Coordinator, eLearning Technology Support at the Queensland University of Technology (QUT). This webinar defined eportfolios in context: pedagogy and technology – types of portfolios for learning, teaching, research and career development for health science and education students in higher education. What: A forum where eportfolio leaders shared their experiences and answered questions on ways of overcoming barriers to eportfolio use. Heather Pate is a learning designer at the Centre for Learning and Development at Edith Cowan University. Heather works directly with academic staff members in developing strategies to incorporate eportfolios at the unit, course and school level within the university. Heather is interested in finding ways to effectively increase retention rates and develop employability skills for students, especially from non-traditional backgrounds. Julianne Seaman – Over the past seven years at Box Hill Institute, Julianne has worked across a variety of roles including teacher education, professional development, and learning design. She has coordinated a wide range of innovations projects centered around ePortfolios, video collaboration, the BHI student induction program, and mobile assessment. As Academic Experience Manager within Blended eLearning Solutions, Julianne continues to coordinate learning design and professional development projects, including recently designing and delivering the Graduate Certificate in Digital Education, and taking a lead role in the teacher education strategy for the BHI Lilydale project. Christine Slade is currently managing the University’s implementation of ePortfolios after leading the Early Adopter Phase in 2013 and the ePortfolio Feasibility Study in 2012. Previously Christine was a Course Coordinator, Lecturer and Tutor in Rural and Regional Sustainability studies within the Faculty of Arts and Business. Christine is also the Project Manager of the two-year OLT-funded Experiential Learning in Planning Education research project. This project addresses academic standards and the assessment and promotion of student learning, particularly in practice setting. ePortfolio thinking means different things to different people. Lynn will share how do they promote ePortfolios for learning at QUT and beyond. She will share a couple of case studies of how this works in practice, together with strategies for ensuring mature ePortfolio pedagogy in the face of changing institutional priorities, staff movements, technological innovation! Lynn McAllister is currently a member of the eLearning Technology Services team at Queensland University of Technology, working primarily in support of the QUT Student ePortfolio program (QSeP). Lynn first met with ‘critical reflective practice’ and ePortfolio thinking during her post-grad IT studies at QUT in 2002, when the QSeP was being piloted, prior to institution-wide rollout in 2004. While employed in the QUT library, Lynn continued to work into ePortfolio related projects and as a member of the Australian ePortfolio Project team. The QUT Academic and Professional Staff ePortfolio (APSeP) is at present in the trial stage and is providing the opportunity for more-focused staff engagement in ePortfolio thinking to support personal and professional development, career planning, academic development and promotion. 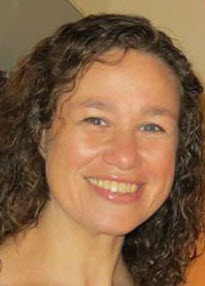 Lynn is an active member of the ePortfolios Australia Forum planning committee. She is particularly interested in the capacity of the ePortfolio learning approach at QUT to positively influence students’ real world learning expectations. Dr Leanne Ngo, Lecturer of eLearning, Curriculum Developer, Faculty Learning Innovations, Faculty of Business and Law, Deakin University, Melbourne, Australia – Dr Leanne Ngo is a Lecturer of eLearning and leads the Learning Innovations Group in the Faculty of Business and Law, Deakin University. Dr Leanne Ngo has over ten years of research, teaching and academic development and support experience in the application of technology and educational design in the practice of teaching and learning and curriculum development in higher education. 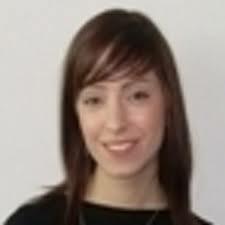 Leanne is a member of the Deakin University Cohort VII of the Inter/National Coalition for Electronic Portfolio Research. She leads the Faculty’s eportfolio initiative using a program course model focused on providing an evidenced based approach to the achievement of learning outcomes, assessment, graduate development, capabilities and employability. Leanne has both led and collaborated on strategic research projects with regards to the way that academics and students interact with and apply educational technologies as part of their teaching and learning processes. Her key research areas and work include evidencing student learning and professional capabilities using ePortfolios, mobile technologies uses for student learning and academic teaching practice, and technology-enhanced curriculum. Sharon Berman, Curriculum Developer, Faculty Learning Innovations, Faculty of Business and Law, Deakin University, Melbourne, Australia – Sharon Berman currently works at Deakin University within the Faculty of Business and Law’s Teaching and Learning Support team as Curriculum Development Support. She has been involved in blended and online teaching for close to 20 years, and has spent much of this time building staff capacity in the appropriate use and implementation of technology, focusing on best practice for learning and teaching purposes. In her teaching roles, she has paid particular attention to the development of student’s soft skills as a result of industry engagement and feedback from potential employers. As part of her role at Deakin University, Sharon plays a key role in supporting and implementing ePortfolios in assessments that showcase student’s learning of discipline specific skills as well as the all-important generic, transferable soft skills. Jill Margerison – The Southport School – Jill will share her presentation called “Flourishing in Creative Spaces with Electronic Portfolios” and demonstrate how a participatory culture in year 8 and 10 English classrooms developed through the use of electronic portfolios. It draws upon the “maker space” theory of Seymour Papert and James Gee’s work on “affinity spaces” to highlight how students flourished in spaces that were designed to promote creativity, critical thinking, collaboration and autonomy. Mary Gallaher – Australian Catholic University – Mary will share how documenting achievement of the Graduate Standards through ePortfolios through critical reflection has impacted her students. 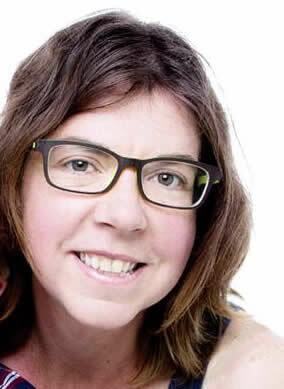 Jill Margerison has a PhD in Political Science and International Relations from The University of Queensland. She has worked for the Japan External Trade Organisation and speaks Japanese. Her interest in digital literacy and how it impacts learning and teaching influences her current work at Jill Margerison has a PhD in Political Science and International Relations from The University of Queensland. She has worked for the Japan External Trade Organisation and speaks Japanese. Her interest in digital literacy and how it impacts learning and teaching influences her current work at The Southport School. 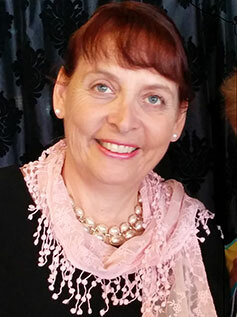 Mary Gallagher is currently employed as a lecturer in the Faculty of Education on the Canberra campus of ACU. She lectures in Pedagogy, Sociology and Literacy while also being the Professional Experience Advisor, guiding and supervising pre-service teachers during their practicum. For the past twenty five years Mary has been teaching in primary schools. She has also been an Early Career Mentor and Curriculum Reviewer for the CEO. Michelle Reilly – Victoria University – shared how e portfolios are predominantly being used with children’s services students at certificate and diploma level to house placement journals, and to be an interactive support mechanism for students whilst they are away from campus. Helen Lynch – Charles Sturt University – shared how a new scripted, scenario based, spiral curriculum is being rolled out for the first two trimesters of Associate Degree in Policing Practice (ADPP). One important feature of this new approach to teaching policing is technology supported classroom delivery with an emphasis on digital resources and curriculum materials. PebblePad e-portfolio is being used in the new curriculum as a learning and assessment platform. Michelle Reilly, Victoria University (VU), has over 20 years in Early Childhood Management roles, teaching children’s services full time at VU since January 2009. Involved with e-learning strategies since 2010, including: e-portfolio, Web CT and soon VU Collaborate. Helen Lynch joined the Charles Sturt School of Policing Practice’s curriculum renewal team as a consultant early in 2013 to design and implement a system/process to deliver and maintain the digital, technology supported classroom curriculum. She has recently joined the Faculty of Arts educational design team at Charles Sturt to continue to work with the School’s new program on the Goulburn campus. Dominique-Alain Jan will be sharing his research and insights into“Eportfolios in Europe” on Tuesday 20 August, 2013 from 12.15 pm to 2.00 pm in the Recital Hall WEST at Sydney Conservatorium of Music, Macquarie Street, Sydney. Dominique-Alain is an eLearning & Technology Lecturer at the Teacher’s Training School Lausanne / Law & Economics Teacher – Gymnase de Nyon in Switzerland, and is in Australia to undertake research for his Doctorate of Education with the Open University (UK). This is a free event proudly brought to you by ePortfolios Australia, University of Sydney – Sydney Conservatorium of Music and Vanguard Visions Consulting. Limited to 50 places.